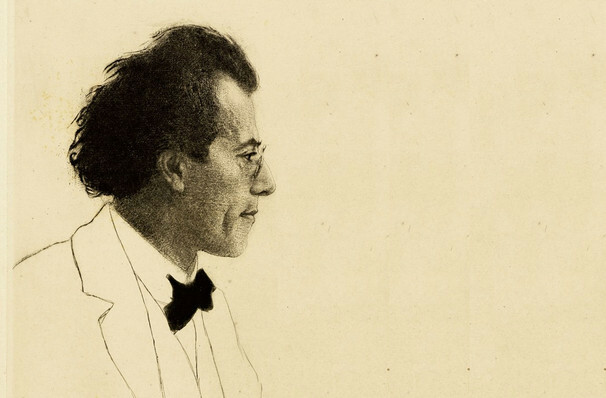 A performance of Mahler's Eighth Symphony is always a special occasion, if only because of the huge forces it demands. 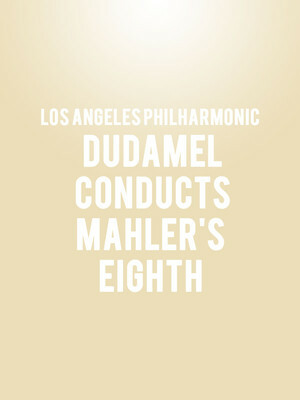 Why See Los Angeles Philharmonic - Dudamel Conducts Mahler's Eighth? Renowned Venezuelan conductor and Music Director of the Los Angeles Philharmonic Gustavo Dudamel leads his ensemble, a host of talented singers, the Los Angeles Master Chorale, the Pacific Chorale, the Los Angeles Children's Chorus and the National Children's Chorus through a rousing performances of Mahler's stunningly epic Eighth Symphony. Dubbed the 'Symphony Of A Thousand', it's one of the largest-scale chorale works in the classical repertoire because of its required orchestral and vocal force. After a period of writer's block, the colossal piece was feverishly composed in a single eight-week burst of inspriation and completed in the Summer of 1906. Inspired by and encompassing the 9th century Latin hymn 'Veni, Creator Spiritus' as well as Goethe's Faust, the work's uplifting message speaks of redemption, and the love between the composer and his wife Alma, set to a rousing symphonic spectacle like no other. Sound good to you? Share this page on social media and let your friends know about Los Angeles Philharmonic - Dudamel Conducts Mahler's Eighth at Walt Disney Concert Hall. Please note: The term Walt Disney Concert Hall and/or Los Angeles Philharmonic - Dudamel Conducts Mahler's Eighth as well as all associated graphics, logos, and/or other trademarks, tradenames or copyrights are the property of the Walt Disney Concert Hall and/or Los Angeles Philharmonic - Dudamel Conducts Mahler's Eighth and are used herein for factual descriptive purposes only. We are in no way associated with or authorized by the Walt Disney Concert Hall and/or Los Angeles Philharmonic - Dudamel Conducts Mahler's Eighth and neither that entity nor any of its affiliates have licensed or endorsed us to sell tickets, goods and or services in conjunction with their events.